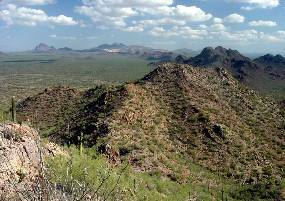 Above: Views southeastward from Solo Peak at the west end of the West Silver Bell Mountains. The scar in the background is the ASARCO copper mine in the Silver Bell Mountains. 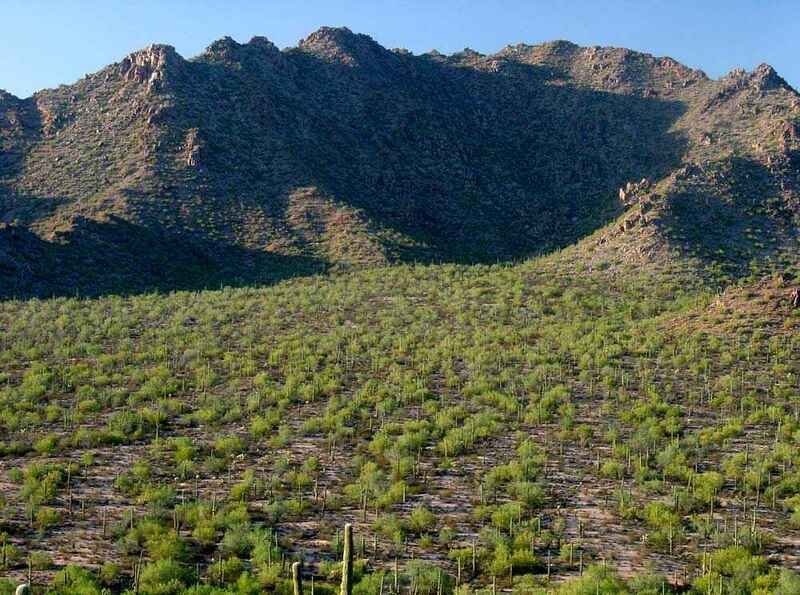 The leftmost peak in the left image is Ragged Top. 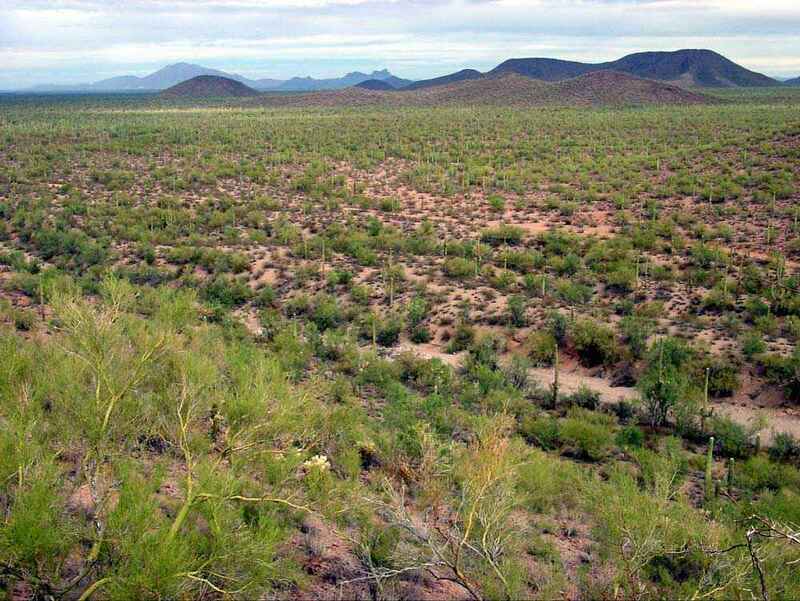 View northeast from the West Silver Bell Mountains to Malpais Hill (dark mass on right horizon) and the sharp Picacho Peak. 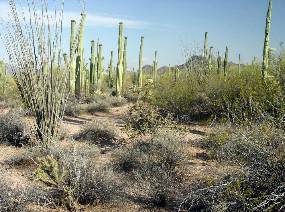 Ironwood trees are rare in the West Silver Bells. 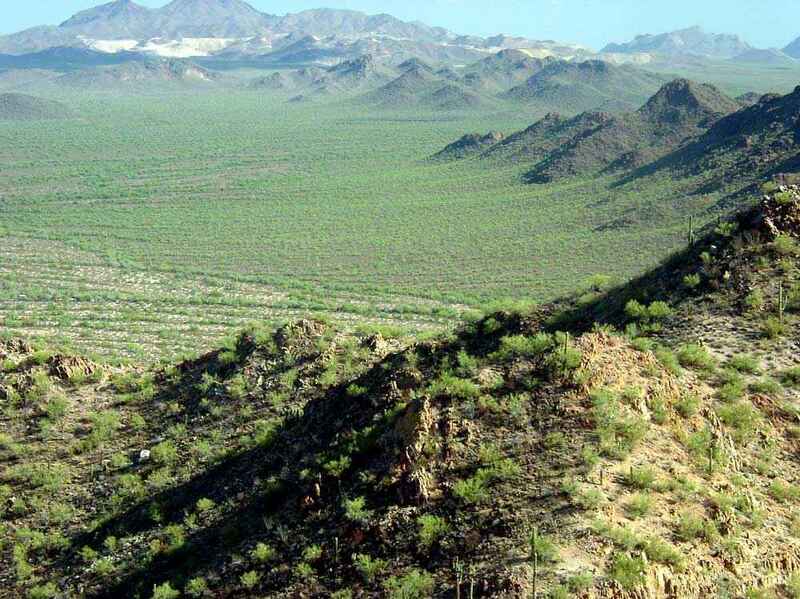 East bajada of Solo Peak. 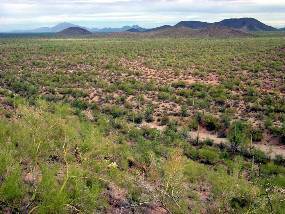 There are few trees here and no ironwoods. 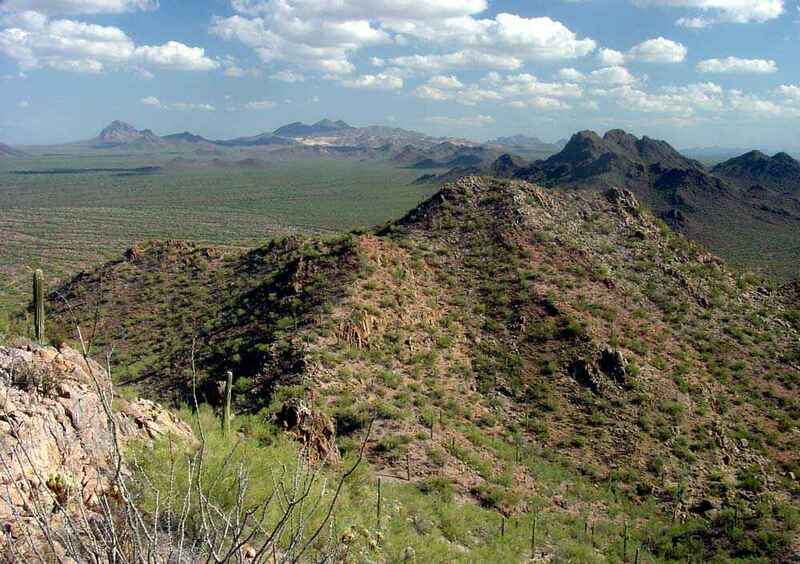 Above: The south bajada of granitic Solo Peak supports good stands of ironwood trees (about a third of the trees in the left scene), in contrast to most of the West Silver Bell Mountains. Above: Two of the many washes draining the West Silver Bell Mountains. 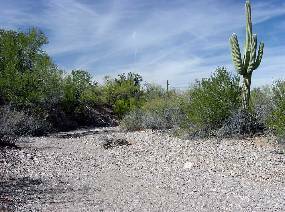 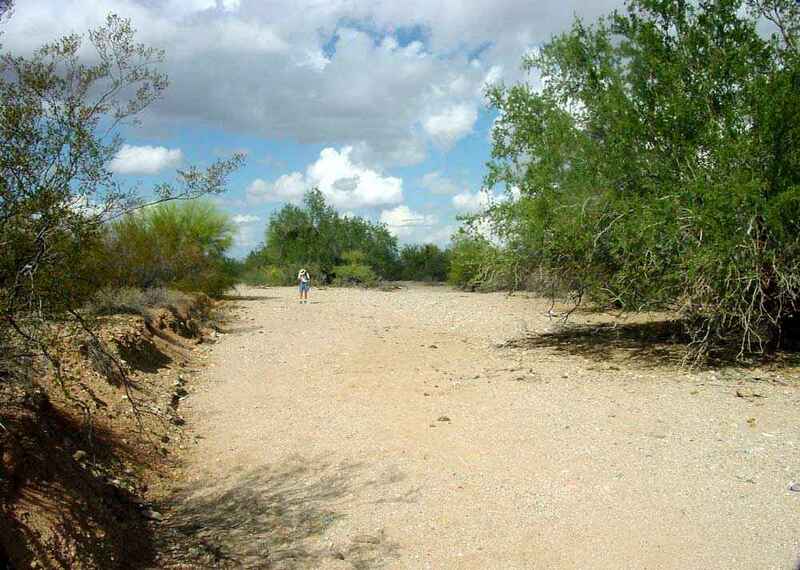 Tiro Wash (right) is one of the few that have ironwood trees. 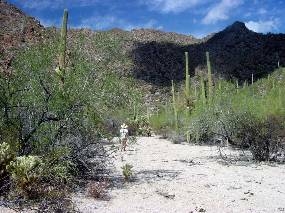 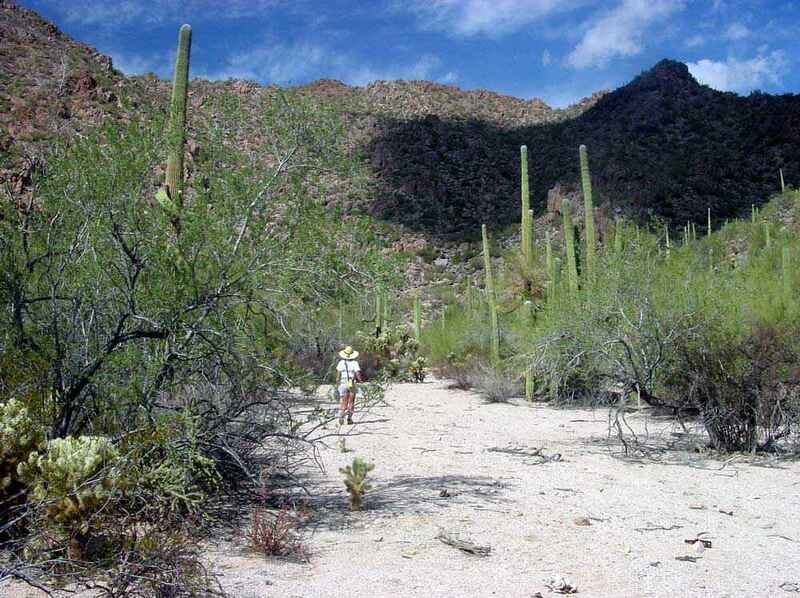 Though IFNM is rich in cactus species, few areas have dense populations of cacti other than saguaro. This prickly pear patch (Opuntia engelmannii) is therefore unusual. 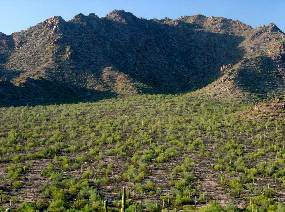 The geologically identical Tucson Mountains only 20 miles to the west have fewer cactus species but much denser populations. 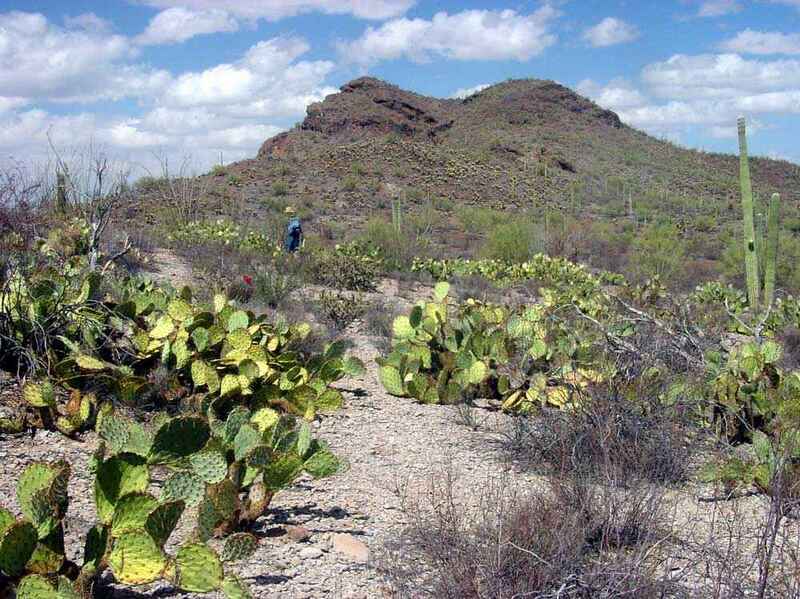 The slope in the background is teddy bear cholla (Cylindropuntia bigelovii); there are many small colonies of this species in the Monument.